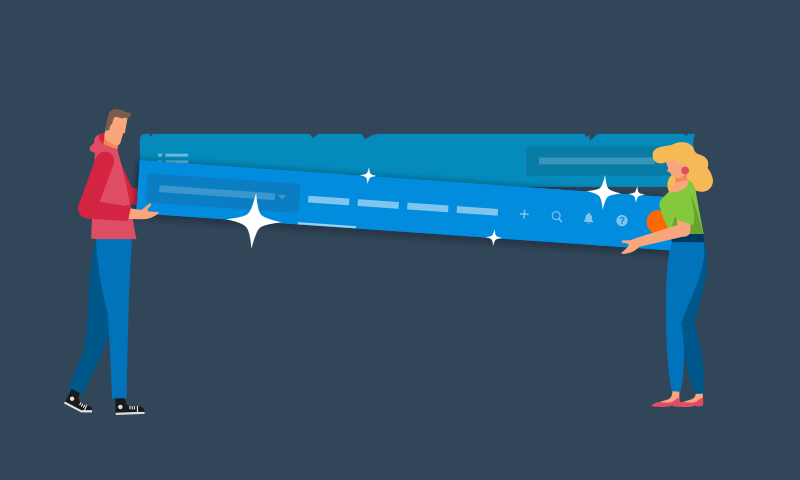 Xero have updated their navigation bar in order to simplify and improve the user experience. This will mean that accounting tools such as reporting will be grouped separately from the day-to-day bookkeeping functions. The changes are based on research carried out with users and will be released in late November. 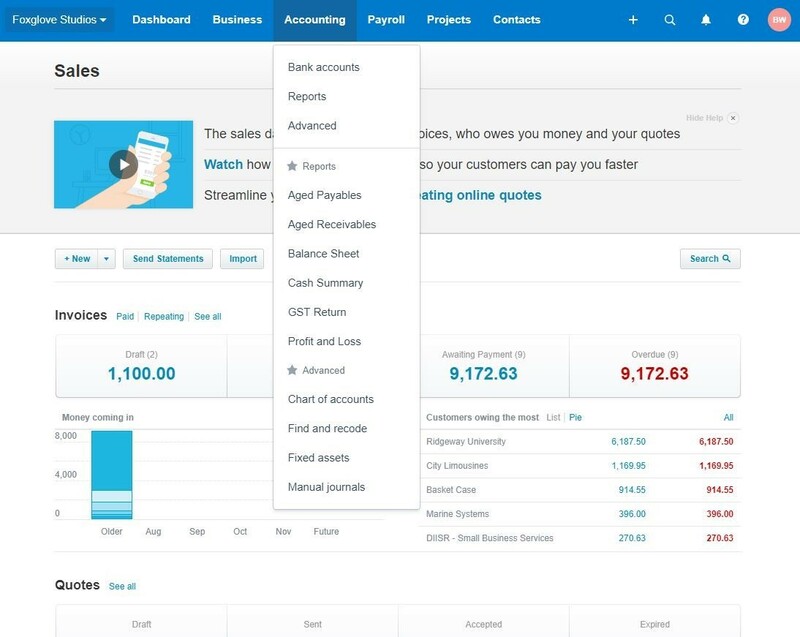 Xero hope that this will make the software easier to use for both bookkeepers and accountants. As currently, this will return the user to the dashboard overview. 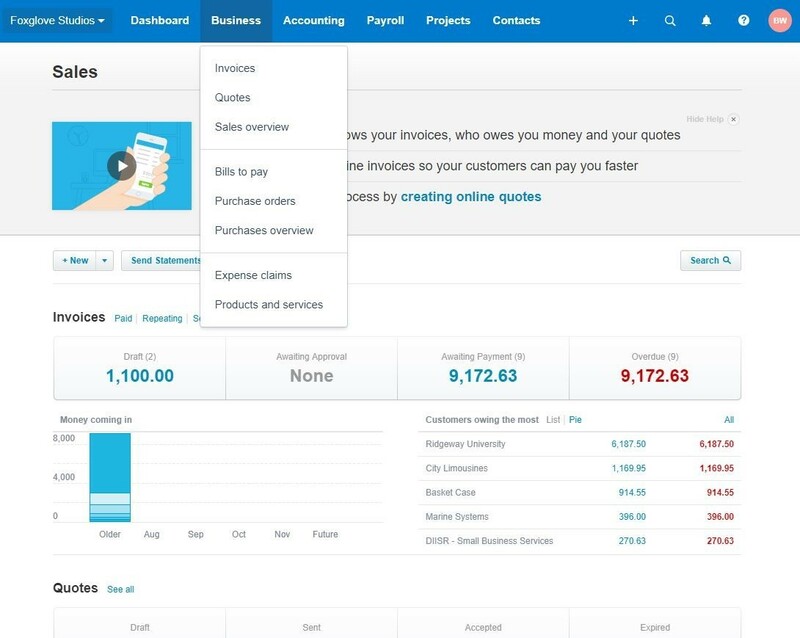 This is where users will now find most of the everyday tasks such as invoicing, bills and expense claims. This is where bookkeepers will spend a lot of their time. The menu also includes the stock control tools, previously known as ‘Inventory’ these have been renamed ‘Products and Services’. The accounting menu now includes all tools for bank accounts, reporting and the more advanced tools and settings, such as the Chart of Accounts. In the same way as in the previous navigation view, you are able to mark different reports as your favourites and these will appear on the accounting menu. If you are using Xero Payroll or Xero Projects these will continue to appear as separate menus. The contacts menu is unchanged and is where you will find all of the details about your customers and suppliers. On the left hand side of the navigation bar is the name of the organisation that you are currently accessing. 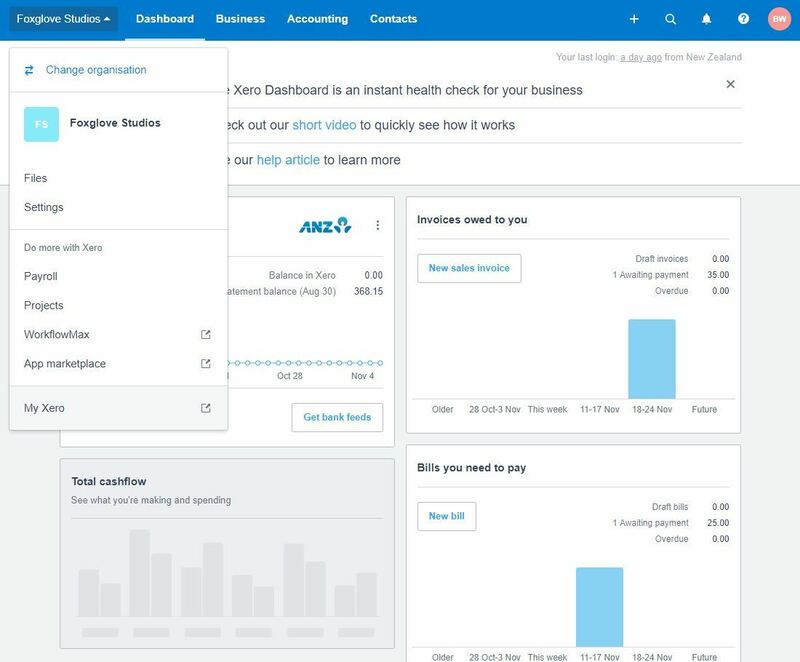 This is where you will be able to move between Xero organisations and also contains the settings menu that was previously separated on the navigation bar. This video also gives a brief summary of the changes. If you’re struggling to find any of the functions then following link contains some frequently asked questions.